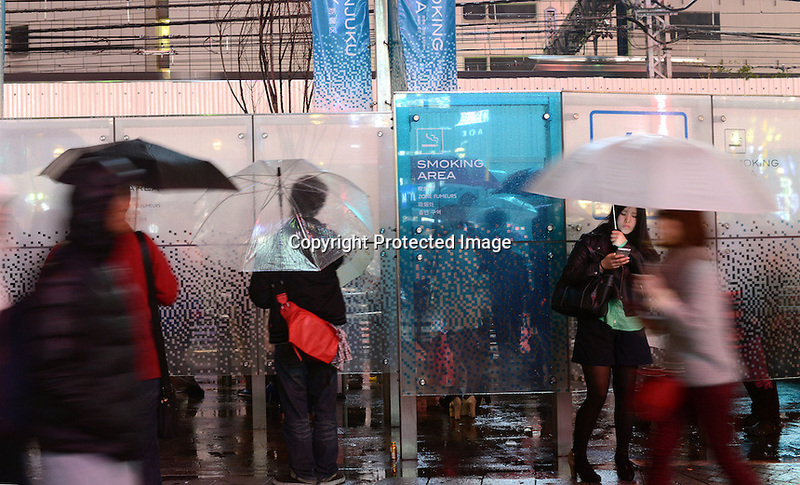 A smoking area outside a railway station in Japan. Japan is generally backwards in first world terms with regard to smoking. Smoking is very affordable and allowed on long distance trains, in all restaurants and is still very common amongst all age groups.